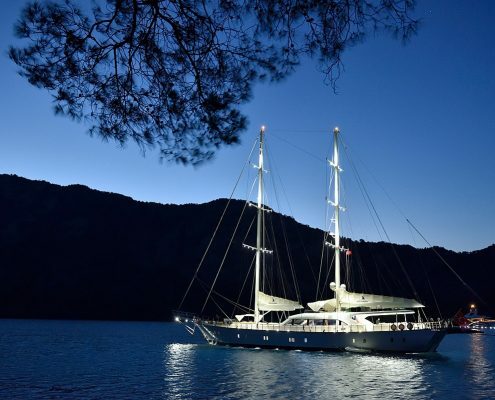 How Does A Gulet Cruise Really Look Like? 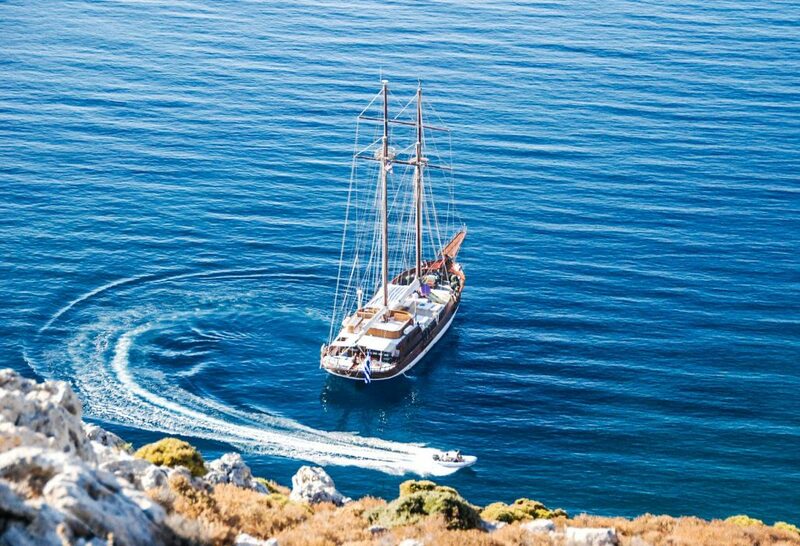 Have you always wondered is gulet cruise is the right kind of holiday for you and your loved ones? Seek no more, because you found the right place with all the information you could need. 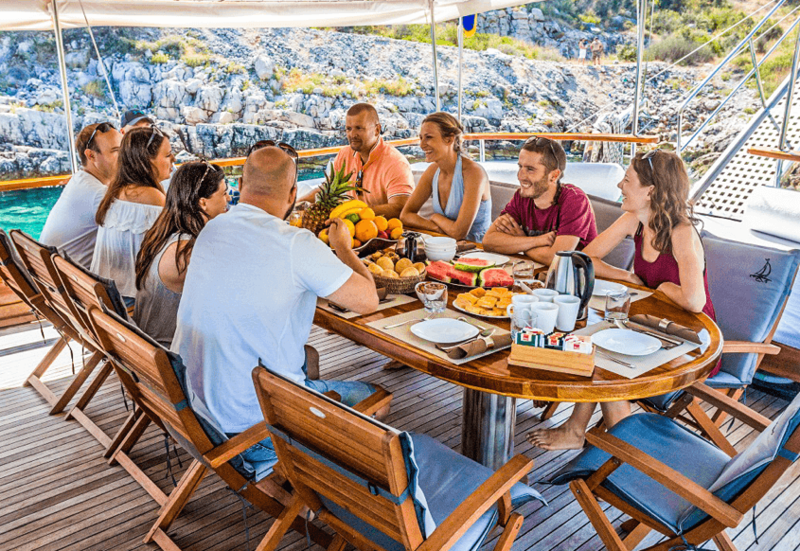 In this post, you’ll find out if gulet cruise is a vacation for you, how a typical day on gulet looks like and what are the things you can do on gulets. So continue reading! 1. 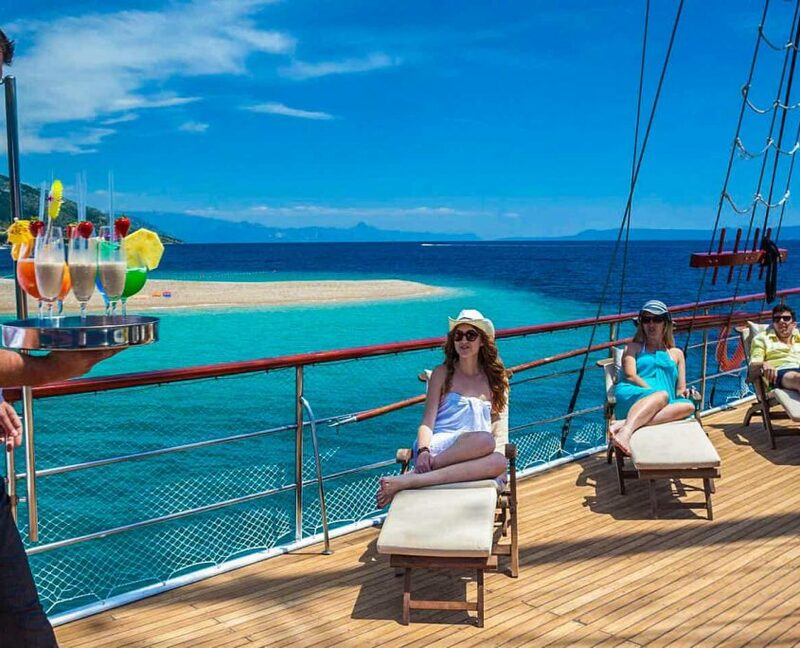 IS GULET CRUISE FOR YOU? 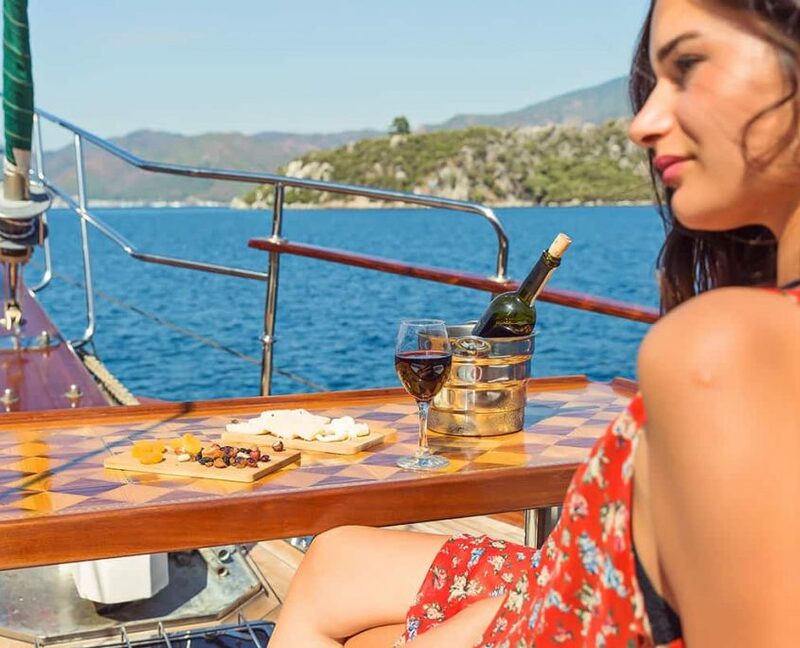 “Gulet Cruiser” usually is a person that loves a good adventure, hates to stay in one place all the time and prefers STUNNING LOCATIONS over hotels. 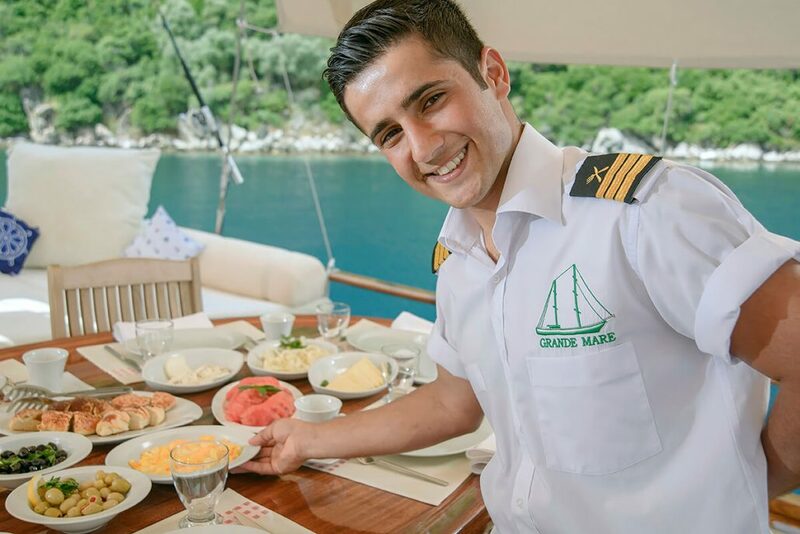 So let’s just say right from the beginning that Gulet Cruise vacations are not perfect for just anyone. I won’t try to sugar coat gulet cruise concept. 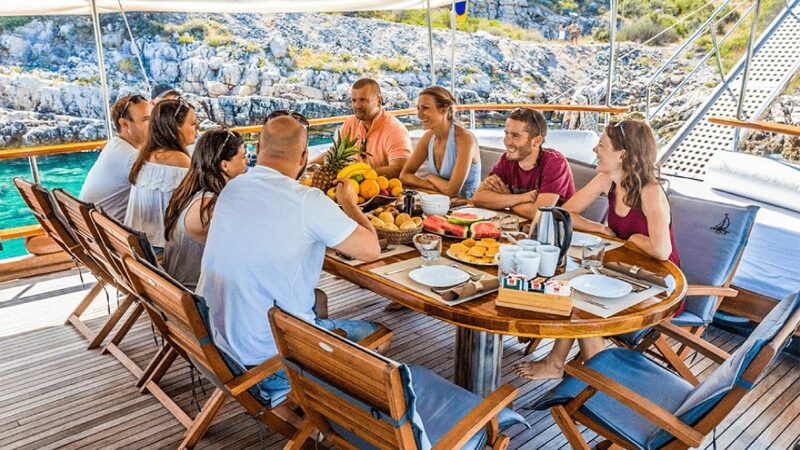 Firstly I’ll introduce you with some pros and cons of gulet cruise that you should be aware of before making any big decisions. 1. You have to be a bit of an adventurist at heart! 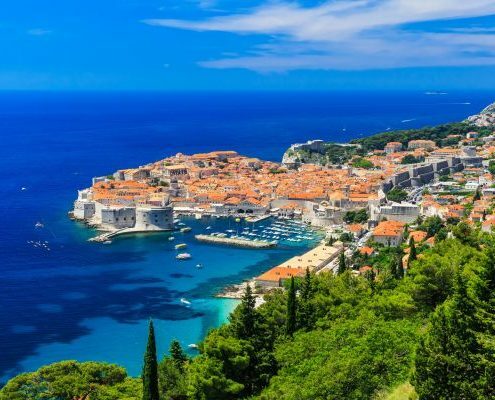 Every single day you can check and explore different astounding locations.From small villages or exquisite towns, islands, parks and simply enjoy other culture. 2. Experienced Captain will lead your cruise. You will be in Capitan safe hands. He will be more than happy to share great stories and bits of pieces of advice with you on the route and on things you can do there. 3. Amazing Chef will fulfill all of your food wishes! He is will be responsible that all of your meals meet and exceed established food preparation wishes and standards during the whole cruise. They are always at your disposal, making sure you don’t have to move a finger and don’t feel guilty about it. 5. Sea is always right next to your room. 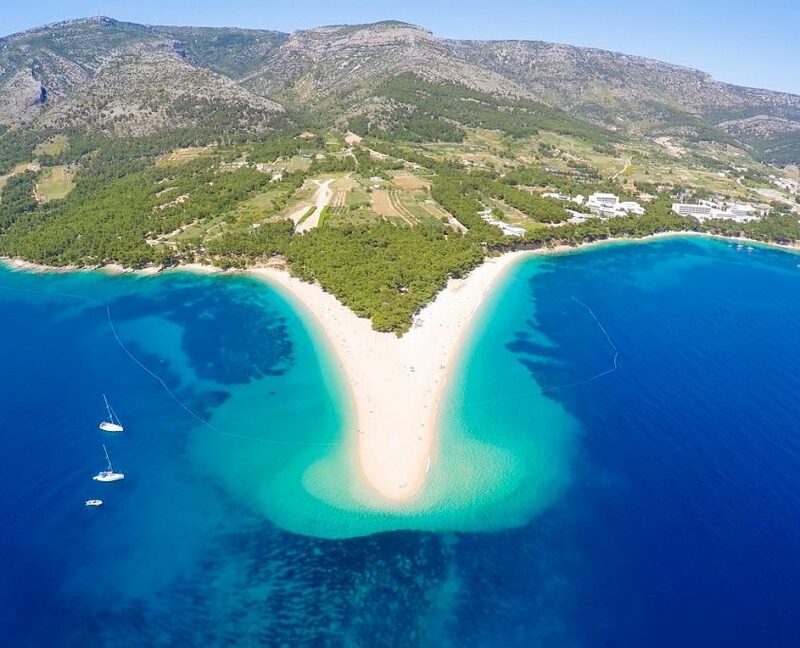 You are constantly surrounded by crystal clear sea that just calls you to jump in it and take a swim just about any time you wish! 6. Not a fan of big loud crowds? Not a problem at all, you can escape the crowds by asking Captain to take you to more peaceful spots. 8.Everything you wish can be personalized, you just need to communicate it. 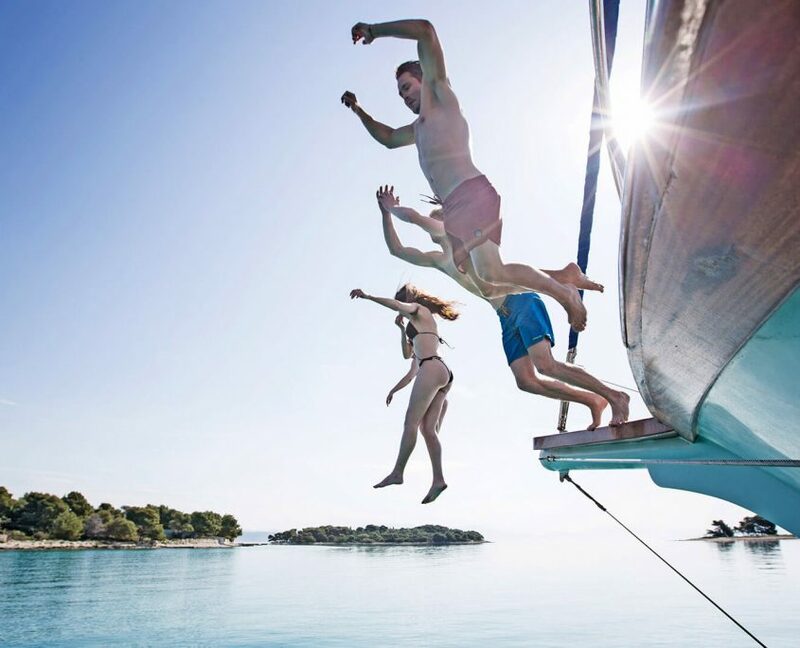 The crew will make sure your cruise is completely stress free! 9. There are many different options to choose from. Standard –Luxury – Super Deluxe, but don’t be fooled by the names! 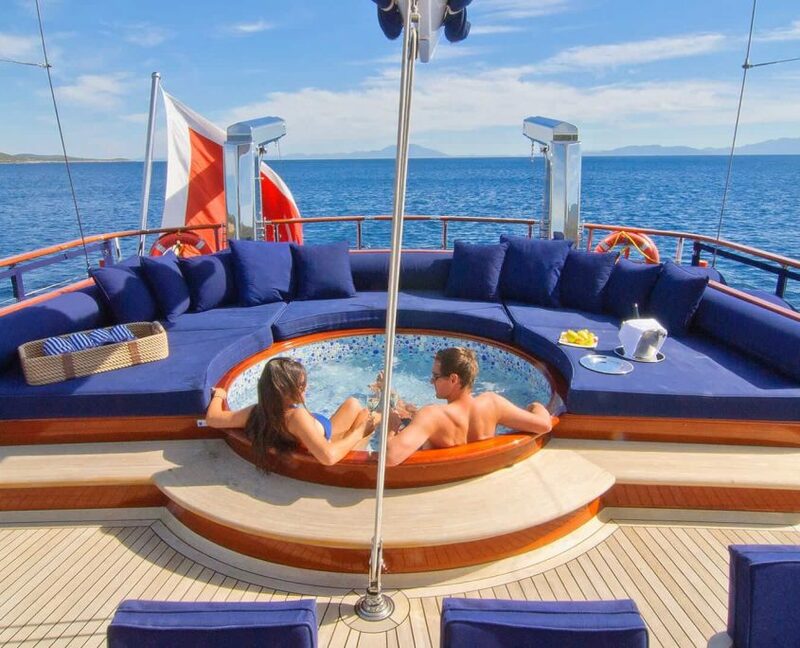 All of them are coming with a very professional crew which will ensure you with most comfortable, relaxing and a luxurious atmosphere. 10. 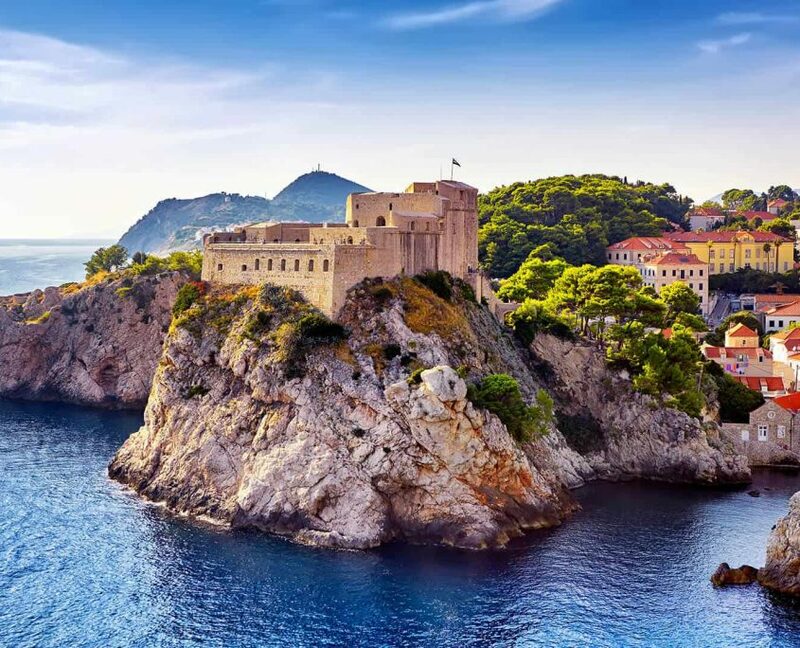 There are many stunning secluded bays and places approachable only by ships. 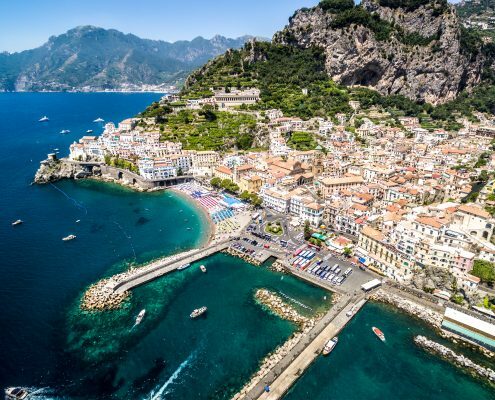 By staying on land in hotels, you are missing out on them! 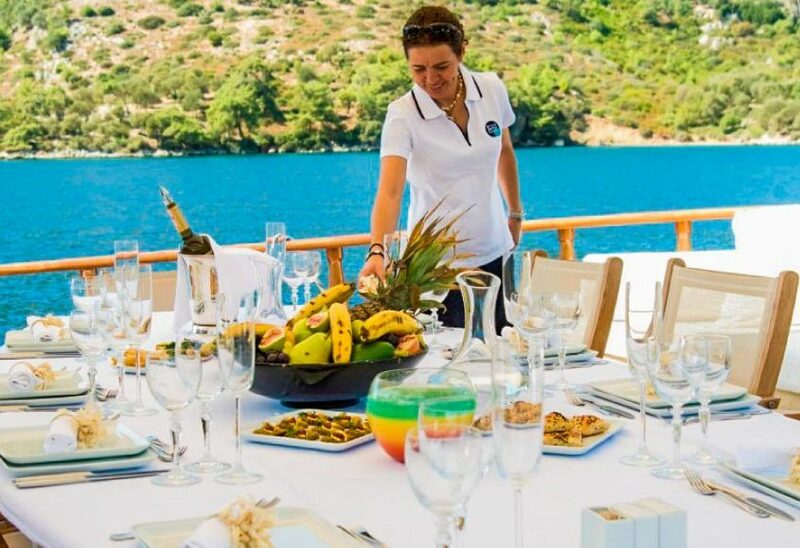 The main goal of gulet vacations is to have unique holidays experience. 2. Cabins and bathrooms are designed for basic use. On a gulet, cabins and bathrooms designed for basic use. Usually, guests spend most of the time on deck or exploring towns. However, if you need the spaciousness of a hotel room, and you prefer to stay inside then consider booking a hotel, not gulet. 3. You are going on a ship, so prepare for the adventure! It has to be said that gulets are generally very safe even for families with small kids. But sometimes even if it’s summer it can happen that you have bad weather and that could mess up some of your plans. Every day you will cruise from one place to the other place. So if you are not really adventurist at heart you should stay home. 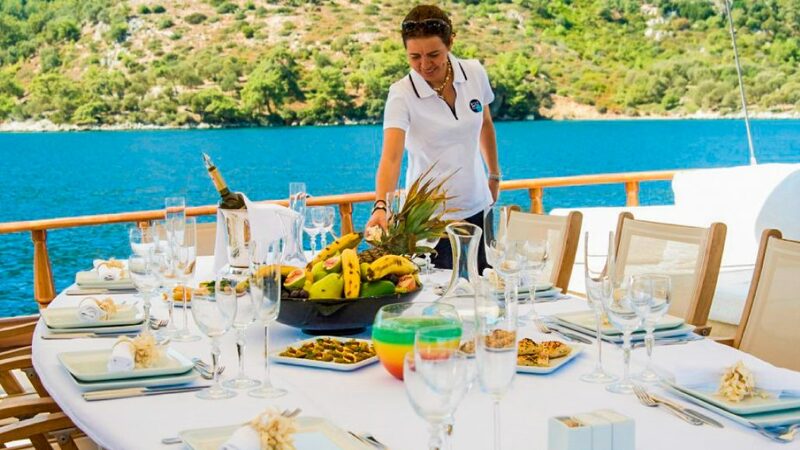 Sometimes the hardest part of having gulet cruise holidays is to organize a group. Actually, just as I wrote this, I think organizing any large group of people can be difficult. Different people have different wishes and expectations so that can cause problems. You have to be a good organiser and plan in a correct way. In this option, you do not know who you will end up with on a cruise. If you are a big introvert in a heart and person who is not open to new friendships…this is not for you! 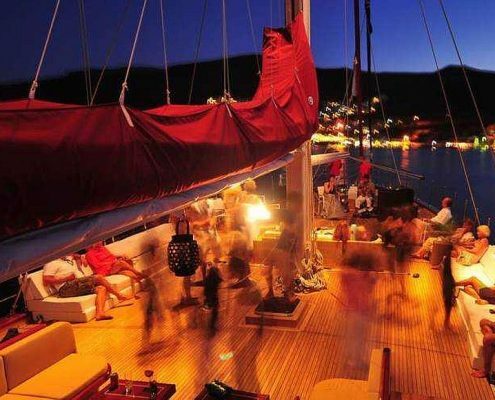 If sharing space with strangers is a problem for you, then either book gulet or fewer people or get your own group. 6. Gulets are not sailing yachts. 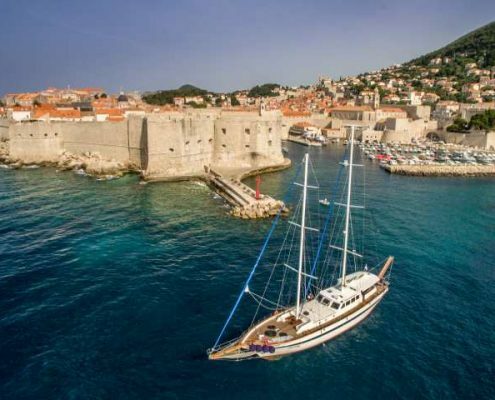 If you were looking for sailing adventure then you are looking in a wrong place… Most of the gulets have none or poor sailing capabilities, with maybe few exceptions. The crew makes an important part of your whole experience, if not the most important one. If you have a crew that doesn’t speak English or doesn’t know their job, a chef who forgets about your food preferences your experience could turn into a disaster. Naturally, gulets have limited space, so self servise is not avaliable. While planning your cruise you will state all your food preferences and chef will follow them during the cruise. 2. 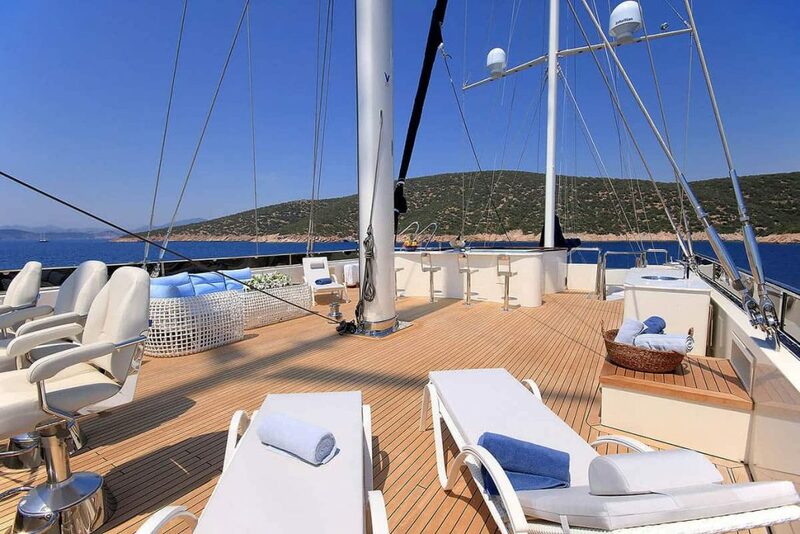 How does a day on a gulet cruise look like? The best way to start a day! 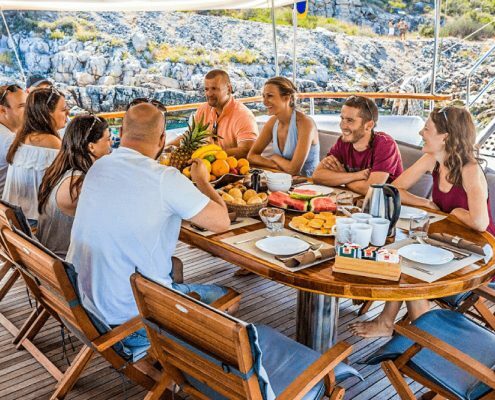 Everyone has their own morning routines, but here is my recommendation on how to start your day while cruising on the gulet. So firstly instead of an everyday morning shower, I’d suggest skipping that routine and jump in the blue clear ocean. Early morning soft waves with a first red and orange colors of a sunrise are pure magic that you don’t wanna miss! Swimming in the sea didn’t wake you up? Well, maybe some coffee and tasty food will. Delicious breakfast, coffee and tea will be served by our lovely crew that will be at your service if anything is needed. Enjoy in beautiful view while eating breakfast served by our friendly crew. Have a nice cup of tea or coffee to wake you up and some fresh fruit to get energised. Ater good breakfast there has to be some time for relaxing, rejuvenating and enjoying. 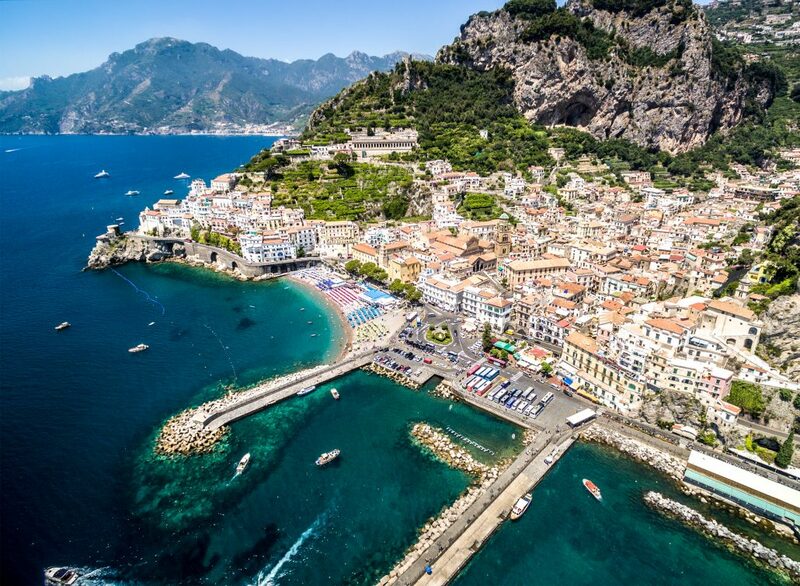 It’s up to you to decide what you will do; read a book, take a nap or simply enjoy the sun, while the experienced captain is leading to the next bay. Enjoy the nice view while you cruise. Work on your amazing tan. 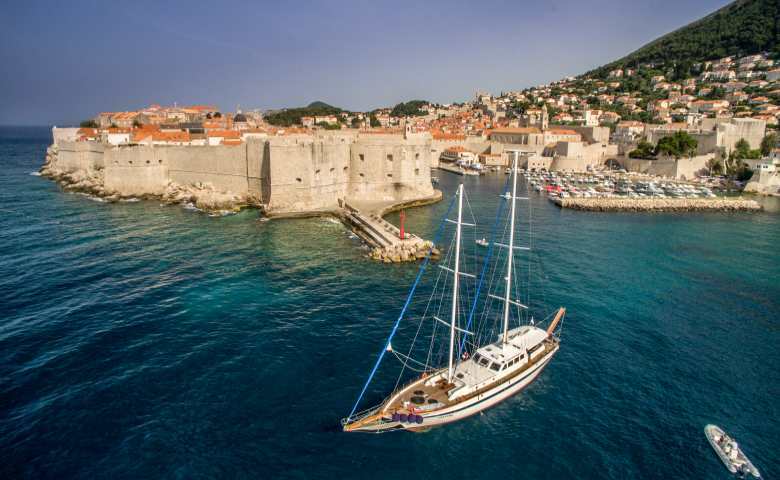 Around noon the captain will anchor the gulet. He chooses the bay that best suits all your needs and wishes, now it’s time for some fun! …and some like go to extremes. Then comes personally one of my favourite parts of the day. Lunchtime! After so many activities you simply get hungry. 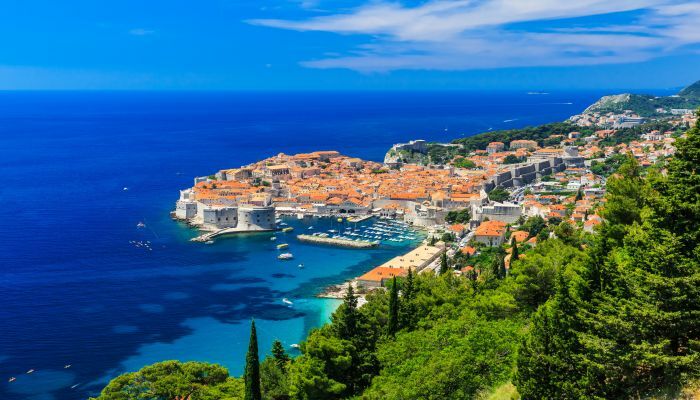 Around this time everyone will gather around whether you travel with your own group or complete strangers, and you’ll enjoy the traditional amazing food that melts like butter in your mouth. Expect only the freshest, seasonal and local quality ingredients! The crew always happy to help. 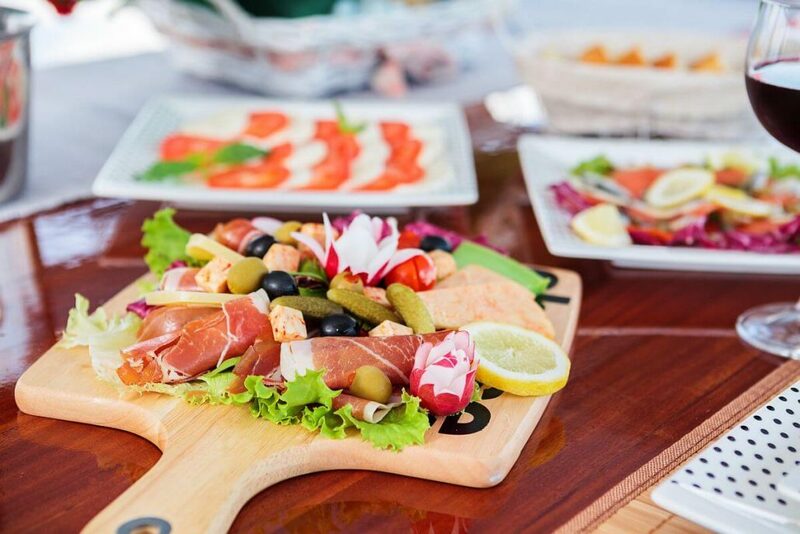 Enjoy in local food, accompanied by great wine. 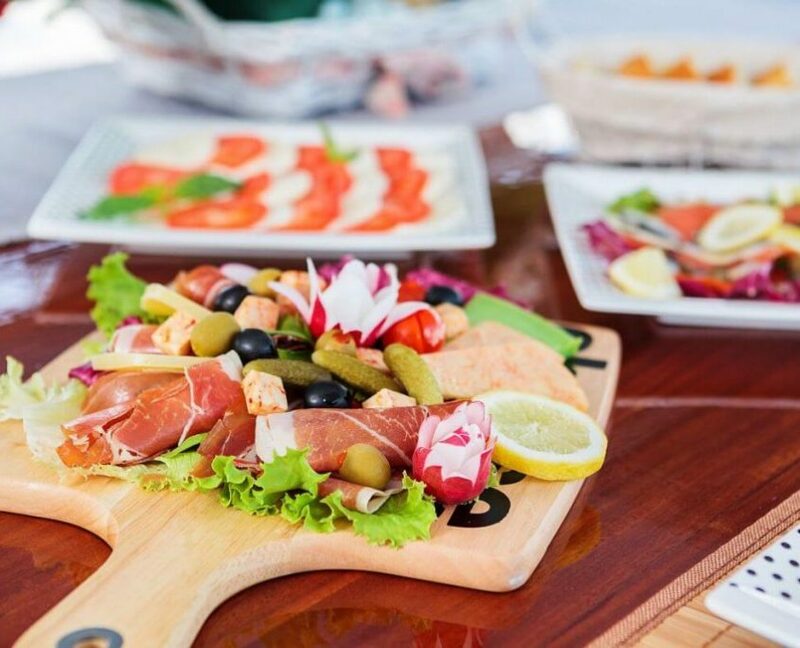 After lunch – Sail away! 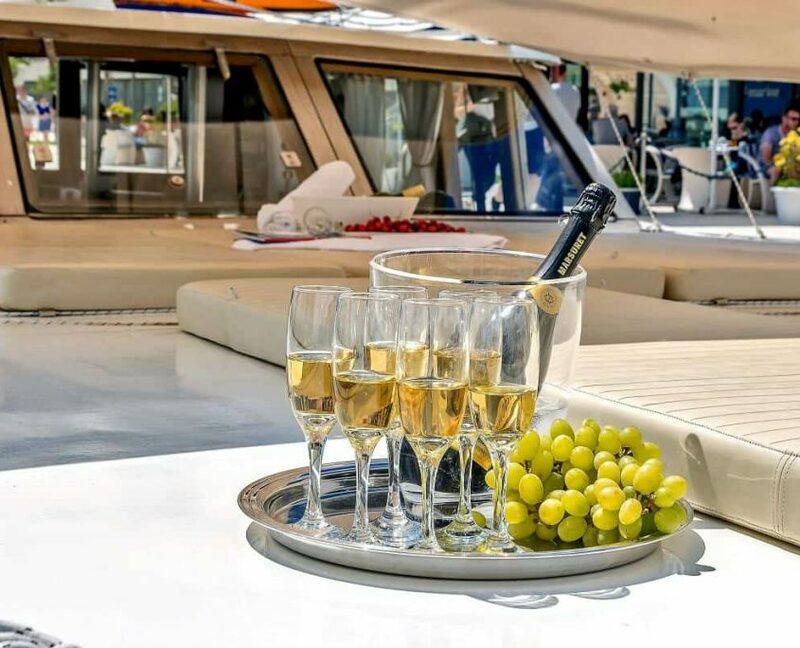 It’s time to stop and refreshen up a bit and while we approach next destination… This is also a perfect time to sip on some drinks, tasty fresh cocktails, champagne or maybe taste amazing wine. Snacks are an option too! …with a view that words can’t describe! Beautiful view don’t you think? Last but not the least, evening activities! 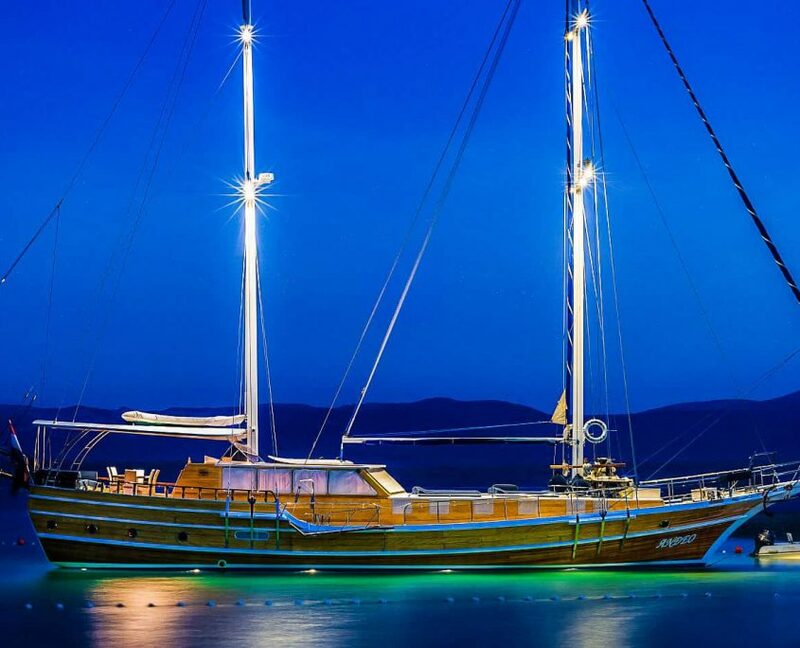 You can stay on gulet and enjoy the peace or go to sleep. Have parting or go skinnydipping etc. I’m sure you haven’t seen a club with this view! 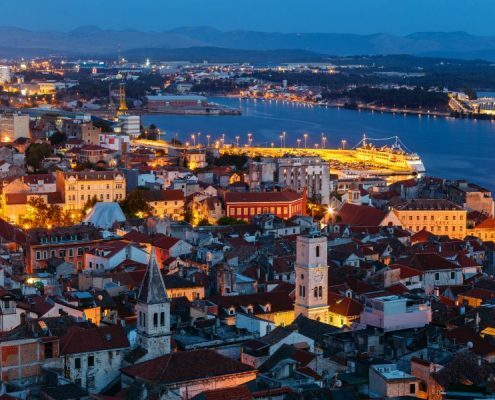 Evening view from above the old town of Šibenik in Croatia from the St. Michael’s fortress. 3. 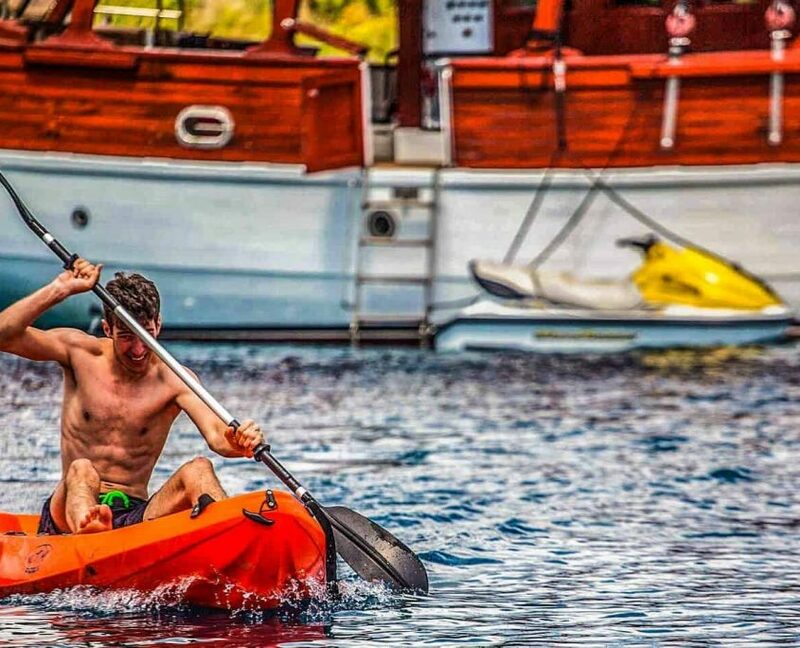 Fun things to do while on gulet! 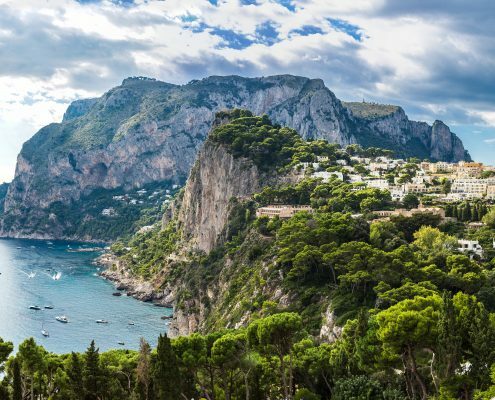 Visit the most famous beaches that the Mediterranean has to offer. Stay active, go hiking, cycling or just enjoy sunbathing! 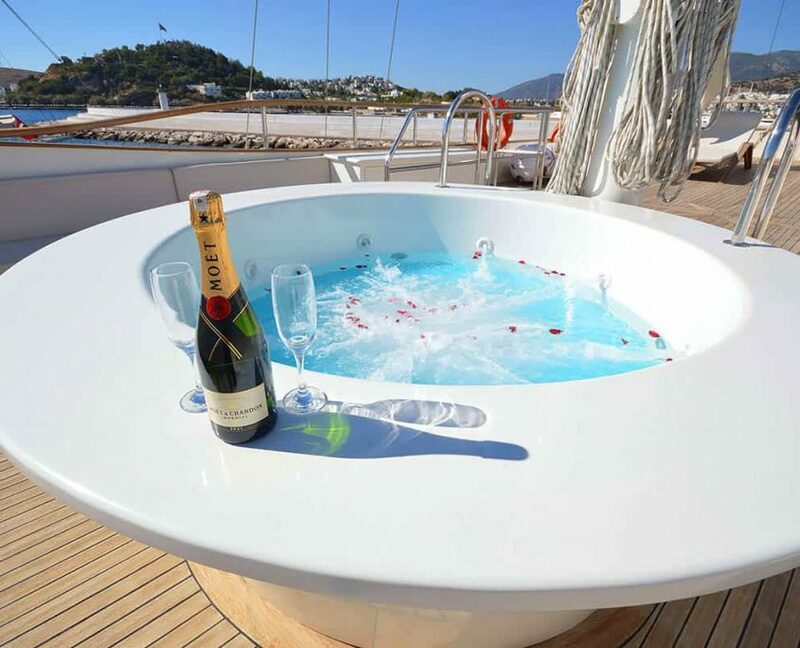 Relax in Jacuzzi during the day or have a romantic night just for two! Go partying on land or on a boat! You are on vacation so don’t feel bad that you will be super spoiled! Have the best sleep of your life under a starry night. 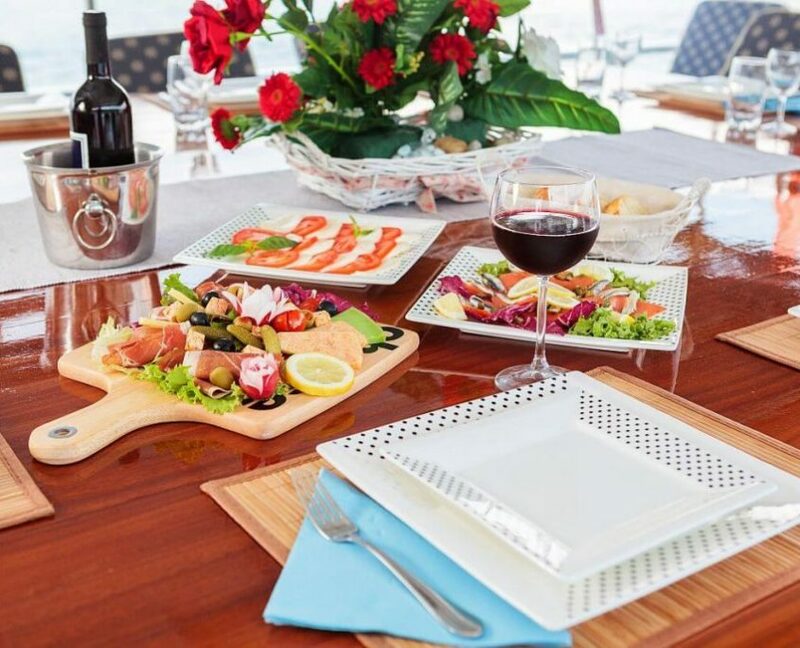 Get the perfect gulet for you! Send us your wishes and get free gulet expert assistance! 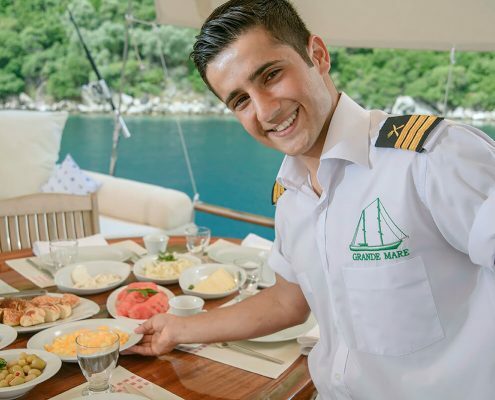 The Comparison Of Top 4 Gulet Cruise Destinations When Is The Best Time For Gulet Cruise? 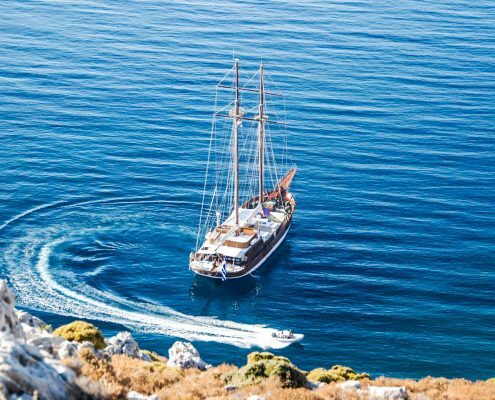 Gulet Expert Will Helps You Plan!